Valve operates 2 main mod community presences: the Valve Developer wiki (with occasional transfusions from the private licensee wiki) and the Steam forums for the Source SDK; a quiet library and a McDonald's. It didn't always used to be like this. The Spirit of Half-Life, a sort of open source Valve-sanctioned "skunkworks" mod intended to boost other mods, with stuff like a particle system and entity parenting. 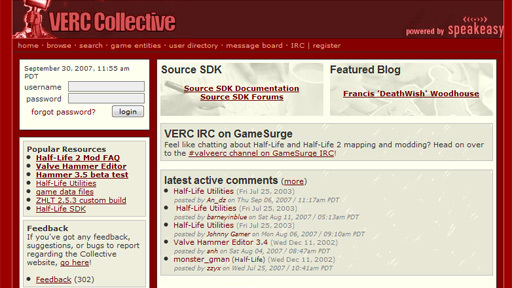 The last few years, it also hosted the first Source SDK reference docs and what I consider to be the crowning achievement, the "VERC Collective." It was basically an all-in-one community blog / peer-reviewed journal of modding; users could write and submit articles for editing, then a few volunteer editors (I was one of them) would proofread, format and correct everything, and maybe send it back for revisions before scheduling it for publishing. We had articles about implementing shadow-based stealth, different algorithms for randomness, light-bloom; single-player level design tips by Adam Foster, a treatise on NPC and item placement, and how to align textures along curves; a level design autobiography by Cayle George (now at Valve), a now-lost spreadsheet of the total number of cockroaches in Half-Life 1... among countless other gems. So yes, Valve does many great things like the Mannconomy, their game blogs, the partnerships with TF2Maps or ThinkingWithPortals, etc. and in general they show great vision with involving the community, but I can't help but wonder if it was at the expense of pursuing this alternate future. 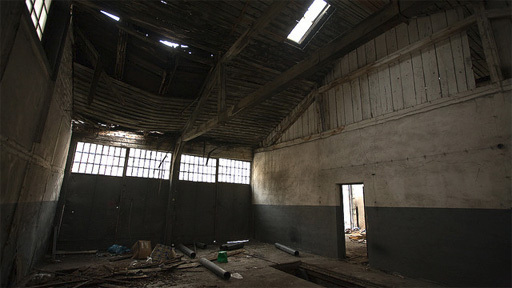 Not a market nor a library nor a McDonald's, but a workshop, lab and university. And for those few years, it was there.